1. Ask people you know and trust who have gone to trial with the jury consultant for recommendations. There is no substitute for talking with people who have actually worked with the consultant. Reputation alone is not enough to go on. 2. Test the waters. Provide the candidates with the same set of information and see what suggestions they come up with at an initial meeting. This allows the jury consultants to do what they are hired for – absorb and interpret information and turn it into useful recommendations. This kind of trial run enables counsel to test the waters at no cost or risk. 3. Find a consultant whom you are comfortable with, but not too comfortable. In other words, if the jury consultant is merely a yes-man or woman, look further for someone who is willing to speak their idea of truth in support of your success, rather than just echoing what you want to hear. 4. Look for someone who asks questions you haven’t thought about yet. 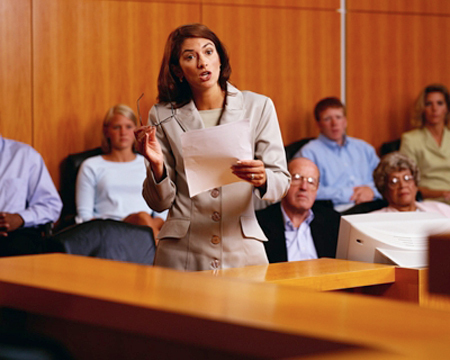 Sometimes a jury consultant will ask searching questions to a lawyer at their initial meeting. This usually means that the consultant has found a gap in information, logic or evidence based on the consultant’s preliminary review of the case information. An experienced jury consultant will have very good “gut” reactions shaped by hundreds of similar cases. Ignoring these questions as “irrelevant” or “not important” is a missed opportunity for the attorney. Unless the question is entirely off-base, or answered easily by information the consultant did not know, take it seriously. A jury consultant who stimulates you to think about your case from a new angle is likely someone who can make a real contribution to the case. 5. Find a consultant who is willing and able to point out weaknesses in your case. Often, lead counsel does not want to hear faults or weaknesses with his or her case. Associates are then afraid to explore them. If a jury consultant dares to go there, it will also be a useless exercise -- unless the consultant insists on being heard, rather than being in denial. It’s important to know that the consultant can be the one who tells you that the emperor has no clothes. 6. Look for a consultant with a knack for coming up with catchy ways to encapsulate the heart of the case in a few words to offer appealing, fitting case themes. Often, a case is won or lost on the basis of these brief summaries. 7. Ensure that a consultant uses common sense as an important consideration in putting forth evidence and theories. The consultant should not just look at legal theories. For example, say a particular cause of action does not call for the jury to find a motive. Jurors will still want that blank filled in, and a skilled jury consultant will identify this gap and offer good ways to address it. 8. Look for a consultant who is willing to disagree, but is not intolerant of your opinion. The consultant should get what you’re saying but not just regurgitate what you want to hear. Being a jury consultant requires confidence and a certain amount of ego to balance the attorney’s ego, but too much of a good thing is not good. Hence, you want a jury consultant who is not intimidated by you, but who isn’t always the smartest one in the room. 9. Seek a consultant who has experience with the issues in the case and is a quick study. Familiarity with the trial location is much less important than many lawyers think, because a good approach translates well in any venue. A strong strategist who is good on his or her feet, quickly grasps information and synthesizes it into tactical steps, is excellent at reading people, can translate data into a practical course of action, and has an intuitive sense of the right case themes – are all more important than knowing the ins and outs of the courthouse. People are people, and there are other people on the trial team (e.g., local counsel), who can provide what is needed that relates to the venue. 10. Look for a consultant who can show some flexibility in method, pricing, approach and adaptability. Litigation is a moving target, there are many moving pieces and constituents, and change is the norm. Hence, in selecting a jury consultant, you want someone who can adapt to those changes alongside you and work in your best interest. Find out how they approach such changes, the cost implications, and their willingness to try different approaches if your needs, client or case are not a “one-size-fits-all” situation. 11. Choose the best jury consultant, not just the closest jury consultant. Do not fall into the regrettably too common thought pattern that the "local" jury consultant is the best. Just because someone regularly works in the venue does make them the right fit for your case. You should be relying on local counsel for venue tips and the best jury consultant you can find to help extract meaningful guidance from your mock jury and to assist as needed during jury selection. 12. Choose a jury consultant who is integrated with a litigation graphics team. Not all jury consultants understand litigation graphics, yet almost every competent jury consultant will tell you that most juries prefer visual information. Simple question, if juries are going to count on visual information as part of their decision-making, and your consultant is not insisting on testing graphics, do you really believe you have the best jury consultant? What should you ask your jury litigation graphics?